Honestly, who doesn’t want to improve their conversion rates? Consistent conversion improvement is a goal that drives every functional area within a company. However, the marketing team has some tools at their disposal to increase this number drastically. The difficulty comes in how to do this properly. While there are many methods marketers may take to improve conversion rates, one of the best is creating compelling and engaging content. Why is content so important to conversions? Luckily, world renowned companies have compiled data to add validate why content is vital to any strategy focused on maximizing conversions. Content Marketing gets three times the leads per paid dollar when compared to paid search tactics. Small businesses with blogs get 126 percent more lead growth than businesses without. After reading recommendations on a blog, 61 percent of U.S. online consumers made a purchase. Content Marketing rakes in conversion rates six times higher than other methods. To improve your conversion rates, you have to make the creation of compelling content a priority. It is non-negotiable for savvy marketers. 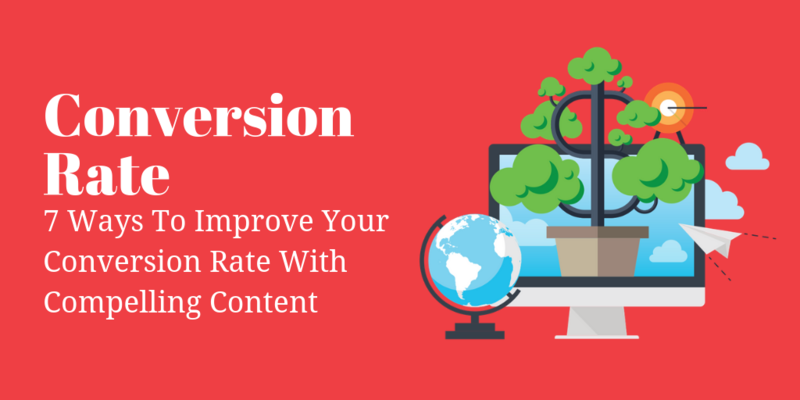 Here are 7 ways to improve your conversion rates with compelling content. Sometimes, creating content can feel like shouting into the void. You never really know if someone hears you. Creating content that utilizes SEO tactics erases some of this concern. Strategically using keywords, link building, page optimization, and the use of carefully crafted meta tags can increase your page rankings and make your content —and therefore your website—visible to your customers. No one can click through from your blog post to your eCommerce store if he or she cannot find your page. Effective SEO tactics are a significant component of creating compelling content that is seen by your intended audience. People don’t buy from items, ideas, or principles; they buy from people. Your customers want to know who you are, and why you do what you do. One of the best ways to do this is to create content that tells a story. It should promote your mission and set you apart from the competition. There are multiple ways you can do this. You could create video messaging that allows the CEO to talk directly to customers, share photos of what happens behind-the-scenes in the company, discuss community events employees participate in, and share how your product or service actually helps customers. Customize your content to your audience, and tie it back to why you do what you do. Give your audience a reason to invest in you. Over the past two decades, websites have become the digital business card of your business. Your digital real estate is one of the most vital components of your content marketing strategy. It informs individuals of who you are, houses your eCommerce store and blog (which you should have), and holds all the contact information you choose to share. Websites are where your conversions will likely happen. You need to ensure your website copy is compelling, the user experience is smooth and fluid, and that there are not any technical hiccups that prevent customers from moving through your site. Your website also needs to be optimized for mobile devices. There is no better way to destroy your conversion rate than to have a website that is filled with dull copy and technical glitches. 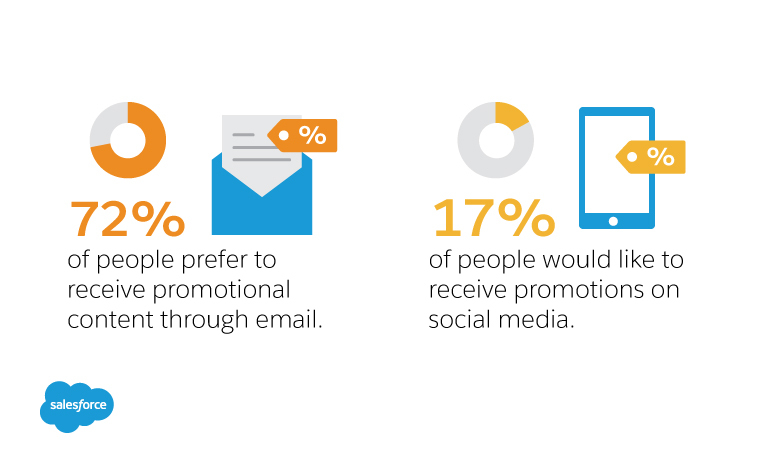 Even with the emergence of social media, email marketing is still king when it comes to reaching customers. A solid email marketing campaign is necessary when it comes to improving conversion rates. Emails allow you to put your best content in front of your target audience. With it, you can direct customers to blogs, an eCommerce site, social media accounts, and your website homepage. Emails also enable you to create content within the email itself through newsletters and the promotion of incentives and discounts. It can funnel your constituents to your website to encourage lead generation and ultimately guide them to converting. Email should be a component of any well-thought-out conversion rate strategy. While this is less of a content issue, and more of a user experience tip, Call-To-Action or CTA buttons should be strategically placed among your prose. How visible is it? Are you using the right color and wording for it? Is it working properly? These are all things you have to consider when preparing to use a CTA button on your website. Having a well-designed CTA button can be the difference between seeing your conversion rates flounder or witnessing improvement. The text on the button needs to answer, “why users should click,” and the color needs to attract their eye even when they are faced with three paragraphs of text. CTAs are a critical tool when it comes to improving conversion rates as they are meant to lead customers right to a converting action. Do not wait to reveal the most crucial information further down the homepage or deeper into the website. The first thing your content should do is inform the customer of why they should keep reading. What are the immediate benefits of your goods and services? How well can your solution solve their problem? Does your prose make customers feel like you empathize and understand what they need? All of these questions should be addressed as soon as possible. If your customers do not have to go through the weeds of your content to find the solutions they seek, then you are more likely to improve conversion rates. Make the research process for customers easy and painless by quickly giving them the content they need early in the prose. Today’s customer has a short attention span and a host of responsibilities. You do not have very long to get their attention. This reason is why having the best headline possible is so important. Headlines should be attention-grabbing, honest, and informative. Odd numbers in list post have a conversion rate 20 percent higher than even-number lists. Headlines with eight words performed the best in click-through rates. Words like “you,” “because,” “free,” “new,” and “instantly,” help drive conversions. The headline is likely going to be the first thing customers see when they come into contact with your content, and it needs to be something that intrigues and attracts them. The material cannot convert if it does not first spark enough interests for customers to click on it to see what you have to say. There are even programs that allow you to check the attractiveness of your headlines. So, make sure your title and headline are SEO friendly and engaging enough to pull your customers to your content. Improving your conversion rates requires a comprehensive content marketing strategy that complements lead generation efforts. Content types like blogging, social media, email newsletters, case studies, and video messaging allow your brand to have a conversation with your customers. You have the opportunity to tell them who you are, why you should exist, and why they should invest in what you do. If you are able to tell your brand's story creatively, it is more likely customers will see your content as compelling. Customers want to know the people behind the brand, and engaging content can do this while improving conversion rates.